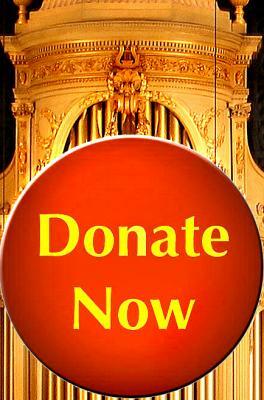 Donations to the Friends of the Wanamaker Organ are entirely tax deductible and help support our concert, restoration, newsletter and radio-broadcast programs. All of these initiatives depend on people like you from all over the world who know that hearing the Wanamaker Organ is a life-changing experience and that pipe organs of this quality and magnitude will never be built again. The Friends of the Wanamaker Organ depends those of you who truly understand this Organ, what is needed for its care and feeding, and its cultural significance. Your support leverages considerable additional support from Macy's and from the surrounding community, where charitable foundations assess basic public support when considering grants. Won't you join us today? With your support, we are making a difference!